Germany is one of the major cultural, economic and industrial centers of Europe. A country of 90 million people, it has a temperate climate and a variety of natural features. Though a very modern society, Germany has an ancient history and rich culture. It is renowned for its cathedrals, castles and museums, and a long tradition of producing masterful composers, writers, artists, philosophers, and scientists. Because Germany is centrally located in Europe, it provides an ideal base of operation for Americans living overseas seeking a broad cultural experience. With neighboring countries like France, Switzerland, Austria and Poland, and major cities like Berlin, Bonn and Frankfurt, Germany is a great place for Americans living and working overseas. Services are divided in three geopgraphical regions. Landstuhl, located in Western Germany, has the largest staff and is approximately 90 minutes from the Frankfurt airport. Heidelberg, a renouned university city, coordinates all EIS services in the central part of the country. The Wuertzburg region, located in the northern tip of Bavaria, oversees the activity in the Eastern part of the country. Service locations within Germany include Heidelberg, Darmstadt, Giessen, Mannheim, Stuttgart, Hanau, Landstuhl, Baumholder, Wiesbaden, Wuerzburg, Vilseck, Ansbach, Bamberg, and Schweinfurt. Each region has unique community, cultural and seasonal events which are enjoyed by Americans working abroad. Ten Federal Holidays plus four weeks paid time off allows ample opportunities for travel and activities. Living abroad is an intermission from the American lifestyle. Outdoor sporting, festivals and family-centered activities are abundant. Services under the EIS program are provided in support of the U.S. Naval Station Rota, which is located on the coast, in Southern Spain, between Portugal and the Strait of Gibraltar. The climate is sunny and warm, with temperatures between 75 and 90 degrees in the summer and 40 to 70 degrees in the winter. There is much to see and do in Spain including windsurfing, sailing, skin-diving, skiing, mountain climbing, and bullfights. The cities of Seville, Cordoba and Granada are within a few hours drive. Italy is one of the great cultural centers of the world, located in the Mediterranean with a population of 60 million. A rich historical and cultural country, Italy offers features found no where else like the canals of Venice, the Vatican, renaissance art, skiing in the Alps, Roman ruins, medieval towns, and of course excellent food and wine. Service locations within Italy include Aviano, Vicenza, Naples, and Sigonella. Sigonella is located on the island of Sicily, where you can find catacombs, Roman amphitheaters, Greek temples, Norman castles, and Arab baths mixed among modern cities. Vicenza is in a region of natural beauty found in the Dolomites, on the shores of Lake Garda, in the landscape of the Euganei hills and in the modern seaside resorts, in an area of Northern Italy known for its cities of great artistic and cultural interest. Aviano sits at the foothills of the Italian alps and is close to both Venice and Milan. South Korea has used years of peace since the end of the Korean War in 1954 to turn itself into one of the most modern and progressive societies in Asia. It is a rugged country ranging from mountainous to coastal, with changing season similar to the Midwest. Services are provided in support of the U.S. Army garrison in the capital of Seoul, which has grown into a teeming metropolis with a population of more than 10 million representing over 22 percent of the entire county's population. While maintaining and restructuring the city which has greatly expanded in the process of urbanization and industrialization over the past 30 years, the city of Seoul continues to grow into a more prosperous and thriving city with clean environment. Seoul offers a wide range of educational, cultural, recreational, and athletic opportunities. Seoul hosts many culinary, cultural, film, and arts festivals, both local and global in scope. Guam is a tropical island in the Pacific that is a U.S. territory. Year-round temperature averages 81 degrees, and natural features include volcanic peaks, green hills, reefs, beautiful waterfalls over steep cliffs and sandy beaches along narrow coasts. Popular activities include scuba diving, snorkeling, surfing, windsurfing, canoeing, kayaking, golfing, swimming, and hiking. Guam is the largest and southermost island of the Marianas chain, is the westernmost possession of the United States since 1898. The island is known as "America's Gateway to Asia" because of its unique geographic and economic position. Guam's indiginous culture, the Chamoru, is visually manifested in dances, sea navigation, unique cuisines, games, songs and fashion influenced by the transmigration of peoples from other lands. The culture endured coloization by Spain from 1521 through the survival of the compassionate and meaningful Chamoru language and traditions. The nine Azores islands are situated in the middle of the Atlantic Ocean between Europe and North America. Services under the EIS program are located at Terceira, the third largest island. Terceira is home to the U.S. Air Force�s 65th Airbase Wing and U.S Air Force Azores. With its strategic location, this base played an important role in World War II and continues to offer support to military operations today. The volcanic origin of the islands offers craters and cones to hike to explore. Steeped in Portuguese tradition, the islands offer cathedrals, museums, and bullfighting arenas. During the summer months, each island offers unique festivals with traditions that date back hundreds of years. This archipelago offers lush flowers and languid lagoons with a moderate climate. Azores doesn�t just present a change in scenery; it�s a change in lifestyle. Japan lies on the western edge of the Pacific Ocean and east of the Eurasian continent. It consists of several thousand islands and islets. Most of Japan is in the Temperate Zone and has a humid monsoon climate, with southeasterly winds blowing from the Pacific Ocean during the summer and northwesterly winds from the Eurasian continent in the winter. Japan also has one of the worlds highest population densities; there are 340 residents for every square kilometer of land. The figure for the United States is 29 and that for Britain is 242. 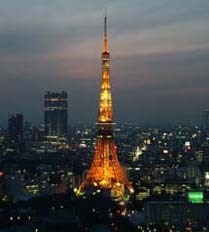 Three-quarters of Japan is mountainous, and two-thirds is forested. Service locations in Japan include Iwakuni, Yokota AFB, US Fleet Activities, Sasebo, Yokosuka and Okinawa. A group of islands close to continental Europe, United Kingdom is one of the largest economies in the European Union and a major international trading power. The mild, temperate climate creates vibrant green pastoral fields all year round, ideal for hiking and drives through winding roads. The United Kingdom has a rich history that can be explored in the ancient castles throughout the countryside. In addition, the United Kingdom has magnificent cathedrals, palaces, and museums. Service locations in the United Kingdom include Royal Air Force Bases Lakenheath, located near the coast of the North Sea. Lakenheath is home to the largest medical facility in the U.S. Air Force Europe. Services are also provided at RAF Upwood UK, which services several smaller locaions in the region. Turkey straddles the point where Europe and Asia meet. Because of its geographical location, the mainland has always found favor throughout history, and is the birthplace of many great civilizations. It has also been prominent as the center of commerce because of its connections to three continents and the sea which surrounds it on three sides. A paradise of sun, sea, rivers, mountains, and lakes, Turkey is a country rich with its own national culture, open to the heritage of world civilization. Services in Turkey are provided in Incirlik, near the coast of the Mediterranean Sea. Incirlik Air Base is an important base in NATO�s Southern Region. The base is located about eight miles east of Adana, the fourth largest city in Turkey, in the heart of a rich agricultural region.